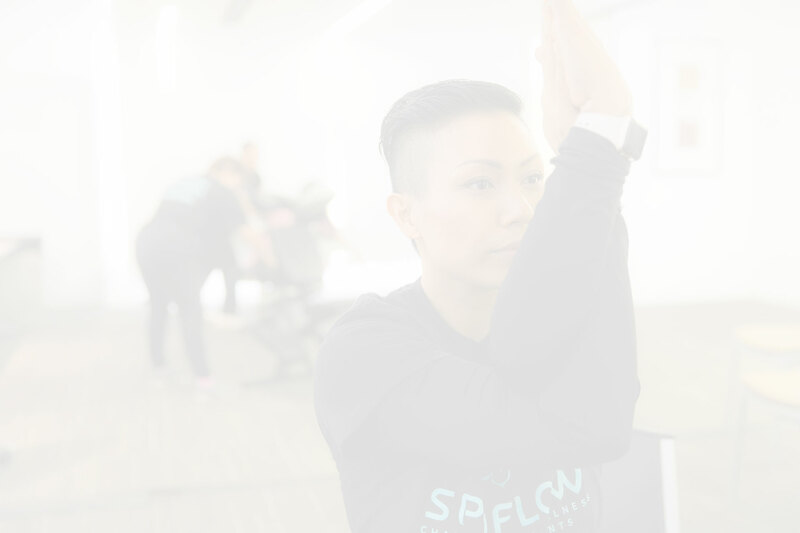 At Spa Flow, it’s our mission to help teams and individuals through the restorative properties of on-site massage and yoga services. At Spa Flow, on-site massage and yoga services are our specialty. We are a corporate and event wellness company specializing in workplace wellness bringing restorative programs to you and your team. Our services include chair massages, meditation, and yoga. As experts in workplace wellness since 2007, you can trust our licensed and insured massage therapists and yoga instructors to take you and your team to new heights, without the stresses of doing any climbing. Through our professional practice of health and wellness, we take care of your most valuable resource--your team. We believe in the proven healing benefits of massage, meditation and yoga, and the impact they can have in your professional life. When your team is light, focused, and in a good headspace, they’re able to work smarter, better, and with more ease. Spa Flow designs unique, custom programs to each individual workforce size and needs, giving your team the tools to boost morale, decrease stress, and build a better workplace. At Spa Flow, it’s our mission to help teams and individuals through the restorative properties of on-site massage and yoga services. Feel Better. Work Better. Be Better. Spa Flow Administrative Assistant and Licensed massage therapist, I’ve been a professional massage therapist for 9 years. My love for Massage Therapy began when I was a very young and I massaged family and friends just to provide some relief for them. It wasn't until my experience as a Student Athletic Trainer at North Carolina Central University that I decided to attend massage school. A few years later, I graduated from the Connecticut Center for Massage Therapy. Currently I have the pleasure of assisting in coordinating onsite massage and yoga events with Spa Flow. In my free time I love baking, listening to music, singing (every song that I've just listened to), writing, crocheting and acting. I know what it’s like to manage a talented staff who deserve to feel appreciated for their hard work. My name is Jeanetta Joseph. 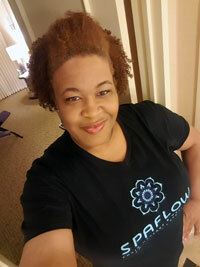 I am a Massage Therapist and the owner of Spa Flow. After graduating from Temple University, I began my professional career as an Athletic Trainer for Georgetown University. As a sports therapist, I saw how valuable massage was for injury recovery and decided to expand my knowledge of massage and pursue professional massage certification. After graduating massage school in 2002, I worked as a mobile massage therapist for 3 years in Washington DC before moving to Atlanta to start my own mobile massage company. In Atlanta, I opened Spa Flow Studio and Mobile Massage. After marriage and starting a family we returned to the Washington DC area to be close to our families. With the use of technology, I successfully managed and expanded Spa Flow Atlanta from Maryland, coordinating appointments for the team of therapists in Atlanta. Realizing the demand for stress relief and relaxation in the workplace, I shifted the company’s focus to event and corporate wellness programs. Law firms, television stations, conventions, and private events throughout the Washington DC metro area, Atlanta and Philadelphia. Spa Flow works with nationally recognized brands like Coca-Cola, Macy’s and the Rock-N-Roll marathon series for marketing campaigns. While our focus is Workplace Wellness and Massage, we continue to work with individual clients who want to enhance special events and celebrations with our services. We also provide Office Yoga and Meditation services, allowing us to truly provide the total wellness package to our corporate clients. When the working day is done, you’ll feel lighter, more at ease, and eager to continue to do great work. We can’t wait to see what the future holds for Spa Flow, and we’re excited to have you along for the journey! While we’re always growing, we currently service Atlanta, DC/Maryland/Virginia, New Orleans, Philadelphia, Chicago and Connecticut areas. We also have therapists available for events in Seattle, Phoenix, Denver, St. Louis, Las Vegas, Savannah, Houston, Dallas, and Miami. We only provide you with the best! Spa Flow’s trusted therapists and instuctors are highly qualified, licensed, and insured. They are experienced in providing on-site chair massage, and yoga and meditation services. From the corporate office to a social event our practitioners are prepared to bring wellness to any setting.